CARFAX One-Owner. Clean CARFAX. **NEW TIRES**, **SUNROOF / MOONROOF**, BACKUP CAMERA, HEATED SEATS, KEYLESS ENTRY, PORTABLE AUDIO CONNECTION, POWER LOCKS, POWER WINDOWS, PREMIUM AUDIO, PREMIUM WHEELS, SECURITY SYSTEM, STEERING WHEEL CONTROLS, NEW BRAKES, COMPLETE SERVICE RECORDS, CRUISE CONTROL, 4-Wheel Disc Brakes, 5.436 Axle Ratio, ABS brakes, AM/FM radio, AM/FM/CD Audio System (180 Watts), Automatic temperature control, Brake assist, CD player, Cloth Seat Trim, Driver vanity mirror, Dual front side impact airbags, Emergency communication system: HondaLink Assist, Front Bucket Seats, Front Center Armrest, Front reading lights, Front wheel independent suspension, Heated Front Bucket Seats, Heated front seats, Illuminated entry, Low tire pressure warning, Occupant sensing airbag, Overhead airbag, Passenger vanity mirror, Power moonroof, Power windows, Rear window defroster, Remote keyless entry, Split folding rear seat, Spoiler, Steering wheel mounted audio controls, Tachometer, Tilt steering wheel, Traction control, Trip computer, Variably intermittent wipers. Priced below KBB Fair Purchase Price! 28/35 City/Highway MPGDEAL!!!!! Bob Boyte Honda is proud to serve the following communities: Jackson, Brandon, Yazoo City, Forest, Carthage, Philadelphia, Newton, Meridian, Laurel, Hattiesburg, Mccomb, Crystal Springs, Wesson, Brookhaven, Mendenhall. Magee.Awards: * ALG Residual Value Awards * Green Car Journal 2016 Green SUV of the Year * 2016 KBB.com Brand Image Awards2016 Kelley Blue Book Brand Image Awards are based on the Brand Watch(tm) study from Kelley Blue Book Market Intelligence. Award calculated among non-luxury shoppers. For more information, visit www.kbb.com. Kelley Blue Book is a registered trademark of Kelley Blue Book Co., Inc.Based on 2017 EPA mileage ratings. Use for comparison purposes only. Your mileage will vary depending on how you drive and maintain your vehicle, driving conditions and other factors. Recent Arrival! CARFAX One-Owner. Clean CARFAX. 32/38 City/Highway MPGDEAL!!!!! Bob Boyte Honda is proud to serve the following communities: Jackson, Brandon, Yazoo City, Forest, Carthage, Philadelphia, Newton, Meridian, Laurel, Hattiesburg, Mccomb, Crystal Springs, Wesson, Brookhaven, Mendenhall. Magee.Awards: * JD Power Vehicle Dependability Study * ALG Residual Value Awards * 2016 KBB.com Best Resale Value Awards Subcompact Car * 2016 KBB.com Brand Image Awards2016 Kelley Blue Book Brand Image Awards are based on the Brand Watch(tm) study from Kelley Blue Book Market Intelligence. Award calculated among non-luxury shoppers. For more information, visit www.kbb.com. Kelley Blue Book is a registered trademark of Kelley Blue Book Co., Inc.
Certified. CARFAX One-Owner. Clean CARFAX. **NEW TIRES**, **LOCAL TRADE**, BACKUP CAMERA, KEYLESS ENTRY, MULTI-ZONE CLIMATE CONTROL, PORTABLE AUDIO CONNECTION, POWER LOCKS, POWER WINDOWS, PREMIUM AUDIO, PREMIUM WHEELS, SECURITY SYSTEM, STEERING WHEEL CONTROLS, NEW BRAKES, COMPLETE SERVICE RECORDS, CRUISE CONTROL, Gray w/Cloth Seat Trim, 16 Wheels w/Full Covers, 4 Speakers, 4-Wheel Disc Brakes, ABS brakes, Air Conditioning, AM/FM radio, Automatic temperature control, Bumpers: body-color, Cloth Seat Trim, Driver door bin, Driver vanity mirror, Dual front impact airbags, Dual front side impact airbags, Four wheel independent suspension, Front anti-roll bar, Front Bucket Seats, Front Center Armrest, Front reading lights, Illuminated entry, Low tire pressure warning, Occupant sensing airbag, Outside temperature display, Overhead airbag, Panic alarm, Passenger door bin, Passenger vanity mirror, Power door mirrors, Power steering, Power windows, Radio data system, Radio: 160-Watt AM/FM Audio System, Rear anti-roll bar, Rear window defroster, Reclining Front Bucket Seats, Remote keyless entry, Security system, Speed control, Speed-sensing steering, Steering wheel mounted audio controls, Tachometer, Telescoping steering wheel, Tilt steering wheel, Traction control. 31/40 City/Highway MPG Honda Certified Pre-Owned Details: * Limited Warranty: 12 Month/12,000 Mile (whichever comes first) after new car warranty expires or from certified purchase date * Roadside Assistance with Honda Care purchase * 182 Point Inspection * Vehicle History * Transferable Warranty * Warranty Deductible: $0 * Powertrain Limited Warranty: 84 Month/100,000 Mile (whichever comes first) from original in-service dateDEAL!!!!! 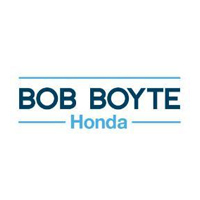 Bob Boyte Honda is proud to serve the following communities: Jackson, Brandon, Yazoo City, Forest, Carthage, Philadelphia, Newton, Meridian, Laurel, Hattiesburg, Mccomb, Crystal Springs, Wesson, Brookhaven, Mendenhall. Magee. CARFAX One-Owner. Odometer is 16696 miles below market average! 23/31 City/Highway MPGDEAL!!!!! Bob Boyte Honda is proud to serve the following communities: Jackson, Brandon, Yazoo City, Forest, Carthage, Philadelphia, Newton, Meridian, Laurel, Hattiesburg, Mccomb, Crystal Springs, Wesson, Brookhaven, Mendenhall. Magee.Awards: * ALG Residual Value Awards * 2014 KBB.com Brand Image Awards2016 Kelley Blue Book Brand Image Awards are based on the Brand Watch(tm) study from Kelley Blue Book Market Intelligence. Award calculated among non-luxury shoppers. For more information, visit www.kbb.com. Kelley Blue Book is a registered trademark of Kelley Blue Book Co., Inc.
Clean CARFAX. 23/31 City/Highway MPGDEAL!!!!! Bob Boyte Honda is proud to serve the following communities: Jackson, Brandon, Yazoo City, Forest, Carthage, Philadelphia, Newton, Meridian, Laurel, Hattiesburg, Mccomb, Crystal Springs, Wesson, Brookhaven, Mendenhall. Magee.Awards: * 2013 KBB.com Brand Image Awards2016 Kelley Blue Book Brand Image Awards are based on the Brand Watch(tm) study from Kelley Blue Book Market Intelligence. Award calculated among non-luxury shoppers. For more information, visit www.kbb.com. Kelley Blue Book is a registered trademark of Kelley Blue Book Co., Inc. Recent Arrival! Clean CARFAX. 26/33 City/Highway MPGDEAL!!!!! Bob Boyte Honda is proud to serve the following communities: Jackson, Brandon, Yazoo City, Forest, Carthage, Philadelphia, Newton, Meridian, Laurel, Hattiesburg, Mccomb, Crystal Springs, Wesson, Brookhaven, Mendenhall. Magee.Awards: * 2016 IIHS Top Safety Pick (With Touring Model) * ALG Residual Value Awards * 2016 KBB.com Brand Image Awards2016 Kelley Blue Book Brand Image Awards are based on the Brand Watch(tm) study from Kelley Blue Book Market Intelligence. Award calculated among non-luxury shoppers. For more information, visit www.kbb.com. Kelley Blue Book is a registered trademark of Kelley Blue Book Co., Inc. Recent Arrival! CARFAX One-Owner. Clean CARFAX. 31/40 City/Highway MPGDEAL!!!!! Bob Boyte Honda is proud to serve the following communities: Jackson, Brandon, Yazoo City, Forest, Carthage, Philadelphia, Newton, Meridian, Laurel, Hattiesburg, Mccomb, Crystal Springs, Wesson, Brookhaven, Mendenhall. Magee.Awards: * 2017 IIHS Top Safety Pick (When equipped with Honda Sensing) * 2017 KBB.com Brand Image Awards * 2017 KBB.com 10 Most Awarded Brands2016 Kelley Blue Book Brand Image Awards are based on the Brand Watch(tm) study from Kelley Blue Book Market Intelligence. Award calculated among non-luxury shoppers. For more information, visit www.kbb.com. Kelley Blue Book is a registered trademark of Kelley Blue Book Co., Inc.
Clean CARFAX. Cloth. 31/40 City/Highway MPGDEAL!!!!! Bob Boyte Honda is proud to serve the following communities: Jackson, Brandon, Yazoo City, Forest, Carthage, Philadelphia, Newton, Meridian, Laurel, Hattiesburg, Mccomb, Crystal Springs, Wesson, Brookhaven, Mendenhall. Magee. Certified. CARFAX One-Owner. Clean CARFAX. **NEW TIRES**, BACKUP CAMERA, MP3 PLAYER, KEYLESS ENTRY, MULTI-ZONE CLIMATE CONTROL, PORTABLE AUDIO CONNECTION, POWER LOCKS, POWER WINDOWS, PREMIUM AUDIO, PREMIUM WHEELS, SECURITY SYSTEM, STEERING WHEEL CONTROLS, FACTORY CERTIFIED, NEW BRAKES, COMPLETE SERVICE RECORDS, CRUISE CONTROL, 6 Speakers, ABS brakes, Air Conditioning, AM/FM radio, Brake assist, Bumpers: body-color, Cloth Seat Trim, Driver door bin, Driver vanity mirror, Dual front impact airbags, Dual front side impact airbags, Electronic Stability Control, Exterior Parking Camera Rear, Front anti-roll bar, Front Bucket Seats, Front Center Armrest, Front fog lights, Front reading lights, Front wheel independent suspension, Fully automatic headlights, Illuminated entry, Leather Shift Knob, Low tire pressure warning, Occupant sensing airbag, Outside temperature display, Overhead airbag, Panic alarm, Passenger door bin, Passenger vanity mirror, Power door mirrors, Power steering, Power windows, Radio data system, Radio: AM/FM Audio System, Rear window defroster, Rear window wiper, Remote keyless entry, Security system, Split folding rear seat, Spoiler, Steering wheel mounted audio controls, Tachometer, Telescoping steering wheel, Tilt steering wheel, Traction control, Trip computer, Wheels: 16 Gloss-Black Alloy. Odometer is 7514 miles below market average!DEAL!!!!! Bob Boyte Honda is proud to serve the following communities: Jackson, Brandon, Yazoo City, Forest, Carthage, Philadelphia, Newton, Meridian, Laurel, Hattiesburg, Mccomb, Crystal Springs, Wesson, Brookhaven, Mendenhall. Magee. Certified. CARFAX One-Owner. Clean CARFAX. **NEW TIRES**, BACKUP CAMERA, KEYLESS ENTRY, PORTABLE AUDIO CONNECTION, POWER LOCKS, POWER WINDOWS, PREMIUM WHEELS, SECURITY SYSTEM, STEERING WHEEL CONTROLS, FACTORY CERTIFIED, NEW BRAKES, COMPLETE SERVICE RECORDS, CRUISE CONTROL, Cloth Seat Trim, Driver vanity mirror, Front reading lights, Illuminated entry, Speed control. Odometer is 7199 miles below market average!DEAL!!!!! Bob Boyte Honda is proud to serve the following communities: Jackson, Brandon, Yazoo City, Forest, Carthage, Philadelphia, Newton, Meridian, Laurel, Hattiesburg, Mccomb, Crystal Springs, Wesson, Brookhaven, Mendenhall. Magee. Recent Arrival! Clean CARFAX. 27/36 City/Highway MPGDEAL!!!!! Bob Boyte Honda is proud to serve the following communities: Jackson, Brandon, Yazoo City, Forest, Carthage, Philadelphia, Newton, Meridian, Laurel, Hattiesburg, Mccomb, Crystal Springs, Wesson, Brookhaven, Mendenhall. Magee.Awards: * 2017 IIHS Top Safety Pick (When equipped with Honda Sensing and specific headlights) * ALG Residual Value Awards * 2017 KBB.com 10 Most Awarded Brands * 2017 KBB.com Brand Image Awards2016 Kelley Blue Book Brand Image Awards are based on the Brand Watch(tm) study from Kelley Blue Book Market Intelligence. Award calculated among non-luxury shoppers. For more information, visit www.kbb.com. Kelley Blue Book is a registered trademark of Kelley Blue Book Co., Inc. Recent Arrival! Cloth. 26/35 City/Highway MPGDEAL!!!!! Bob Boyte Honda is proud to serve the following communities: Jackson, Brandon, Yazoo City, Forest, Carthage, Philadelphia, Newton, Meridian, Laurel, Hattiesburg, Mccomb, Crystal Springs, Wesson, Brookhaven, Mendenhall. Magee.Awards: * ALG Residual Value Awards * 2016 KBB.com Brand Image Awards2016 Kelley Blue Book Brand Image Awards are based on the Brand Watch(tm) study from Kelley Blue Book Market Intelligence. Award calculated among non-luxury shoppers. For more information, visit www.kbb.com. Kelley Blue Book is a registered trademark of Kelley Blue Book Co., Inc. Recent Arrival! Clean CARFAX.DEAL!!!!! Bob Boyte Honda is proud to serve the following communities: Jackson, Brandon, Yazoo City, Forest, Carthage, Philadelphia, Newton, Meridian, Laurel, Hattiesburg, Mccomb, Crystal Springs, Wesson, Brookhaven, Mendenhall. Magee.Awards: * 2013 IIHS Top Safety Pick * 2013 KBB.com Brand Image Awards2016 Kelley Blue Book Brand Image Awards are based on the Brand Watch(tm) study from Kelley Blue Book Market Intelligence. Award calculated among non-luxury shoppers. For more information, visit www.kbb.com. Kelley Blue Book is a registered trademark of Kelley Blue Book Co., Inc.
New vehicle pricing includes all offers and incentives. Tax, Title and Tags not included in vehicle prices shown and must be paid by the purchaser. While great effort is made to ensure the accuracy of the information on this site, errors do occur so please verify information with a customer service rep. This is easily done by calling us at 601-591-5000 or by visiting us at the dealership. If you’re searching for used car dealerships near Madison, then look no further! Take advantage of the extensive inventory available at Bob Boyte Honda. And because we want you to get a great used car deal, we offer plenty of used vehicle exclusive offers as well as vehicles under $10k. Explore our inventory online and then come visit us for a test drive! Ready to drive home to Ridgeland in your next Honda? We want you to drive home in a used car you love, at a price you feel good about, which is why we thoroughly inspect each and every vehicle to meet our rigorous standards. Our team will walk you through every step of the used-car-buying process – we’ll even be there for you after you leave the lot! Get to know our friendly and experienced service department to maintain your used car, and feel free to contact us in the meantime with any questions about our inventory of used Honda models and more!